10 Reasons to convince your Boss for Social Media! Home » 10 Reasons to convince your Boss for Social Media! You are well versed that the Social media is the most effective marketing medium today and is here to stay for a long time to come. Today many brands, startups, big/small businesses have tried their hands in various social media platforms and are flourishing in terms of brand awareness and engagement but there are a few who are reluctant to invest in any social media activity and view it as any other passing fad. If you feel that your lead/boss/head of marketing is a bit lukewarm to the idea of Social media, there may be a big possibility that they are not aware of how Social media can strengthen overall marketing goals and drive the business forward. Brands/Companies are expected to be active on Social Media: As per recent study, consumers today, expect brands to have a presence on at least three social media platforms. If a brand does not meet these expectations, consumers are likely to think that the company is behind the times and products/services that are being offered are surely outdated. Social Media is a powerful customer service tool: Real time and excellent customer service are what gives a brand/business an edge in this competitive world. Social media surely serves as a powerful weapon in a company’s customer service by interacting with the customers who want to make pre-sale inquiries, complaints or escalations. If a business is not on social media, it surely is missing one of the main customer communication channels. It creates brand awareness: A survey number showcased that more than 75% of people are more likely to buy from a brand they follow on social media. Social media surely is a valuable tool for creating brand visibility and generating brand awareness. Even if an individual has never engaged with your business, but if his/her friend circle has interacted with the brand or they are able to see brand ads, pop-ups in the news feed of their social networks, they are sure to build up a sense of brand voice. Social media can lend brand credibility: Gone are the days when people used to search newspapers, directories or yellow pages for a service/product. Today people turn to online search engines. While choosing between businesses that they have never engaged with before or for doing a comparison between two brands/companies, they are likely to rely on the presence of active social media accounts and positive online reviews. In fact, more than 70% of consumers rely on the online presence of a brand before even making the first call or writing first mail. Do you want to miss these potential customers due to social media absence? It creates your brand advocates: As a business/brand, the goal is always to create loyal customers who advocate your business for you. While in earlier days, an individual’s social influence was just within their immediate friends and relatives but nowadays, a person can recommend and reach to hundreds and thousands of people across the globe through social media. Today, people are willing to share and advocate the brand via messaging, review, feedback, sharing a link, a video or a brand story etc. What really matters is that the messaging should be right. Social Media gives you an insight about your customers: Social media is a great tool to gather insights about your potential customers such as their interests, likes, dislikes and behaviors etc. By using these insights and social media analytics, a business can make better and informed decisions. ‘Social listening’ is yet another powerful tool that many brands are focusing on to monitor what people are saying about their brand/business online. Brands can collect all sorts of important insights from social listening, in the form of reviews and feed-backs on a particular product/service to identifying potential influencers and advocates. Social media does not require huge investment to be successful: One doesn’t need to invest huge amounts of money, energy and time into social media as compared to other traditional marketing campaigns, to begin seeing the results. As per Hubspot, 84% of marketers feel that devoting an average of six to eight hours a week on social media is enough to increase traffic (that’s just a little more than an hour of every working day). It good to showcase the management by setting up a trial run in any social media platform for a set amount of time and analyze the result data. Your Competitors are already on Social Media: Digital age has already set in and today more than 70% of brands and businesses are on social media. It’s certain, if not all, but majority of your company’s competitors are on social media and using it successfully to generate and nurture leads. This clearly means that your competitors are benefiting from social media and are already having an advantage over you. So, the longer you hold off from embracing social media, the further you will fall behind them. Social Media is measurable: Every social media story is measurable. Since the real bottom line is the sales, social media can help make decisions on actions and reactions that can generate sales and can assure that the business graph is moving in the right direction. One can use the website analytics to monitor the flow of visitors to their website from Facebook, Twitter or any other social platform and the overall conversion rate from each social channel. You may want to keep the data points ready such as, “currently we convert 7% of our online leads but with a social media campaign, we could increase conversion rates by 5% in the first six months”. Do back your argument with facts. Social Media is just one click away from the BUY button: Any marketing initiative is all about sales and PR. Social media marketing initiatives and daily interaction should revolve around clear objectives and calls to action to create an environment in which consumers can easily purchase. Remember, consumers should never be more than a click away from the opportunity to buy or learn more about any product/ service. With these points, we are sure your employer will agree that social media has the potential to be an invaluable tool for the business and can be a revenue driver as it offers a wealth of opportunities to create life-long customer relationships and to improve customer acquisition, satisfaction, retention and increase overall revenue. 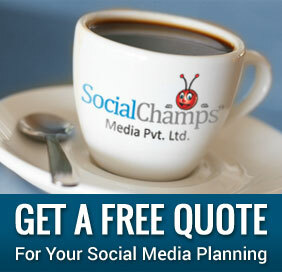 From there, it’s just a matter of devising an effective social media strategy. shopping bag prada nera, prada borse italia portafoglio lampo prada price occhiali prada verdi prada borse tracolla piccole prada roma via condotti giacca pelle prada prada borse pelle sito ufficiale prada borse borse donna prada prezzi scarpe prada donna saldi prada online portafoglio saffiano prada, occhiali da sole prada on line, portafoglio prada su ebay scarpe prada uomo vendita online prada outlet montevarchi scarpe prada uomo milano scarpe prada donna portafoglio uomo prada usato occhiali da sole prada modelli vecchi prada sito ufficiale sito ufficiale prada outlet zaino prada tessuto abbigliamento prada on line borse prada tela vela, prada portafoglio tracolla tessuto nero occhiali vista prada sport borse primavera estate 2018 prada prada saldi on line big hero 6 pradamano prada portafoglio lampo wallet price occhiali da sole prada cinema prezzo prada sito ufficiale outlet portachiavi prada abbigliamento prada uomo prada profumo uomo, scarpe prada uomo sneakers 2018 borse prada striped prezzo prada scarpe ginnastica outlet marche prada. sneakers louboutin uomo louboutin nere scarpe louboutin offerte, louboutin decollete christian louboutin shoes burlesque louboutin so kate prezzo christian louboutin europe online louboutin dubai outlet mall louboutin sneaker prezzo nicole k christian louboutin christian louboutin junior spike christian louboutin keychain 3 christian louboutin heels scarpe louboutin bambina christian louboutin scarpe uomo prezzi christian louboutin shoes new york city, where is a christian louboutin store scarpe louboutin sposa prezzi christian louboutin shoes zurich louboutin schuhe outlet deutschland louboutin scarpe basse louboutin uomo europa louboutin outlet usa online louboutin uomo sneakers prezzo louboutin daffodile christian louboutin vs zara christian louboutin shoes johannesburg christian louboutin shoes silver louboutin maschili louboutin uomo ebay christian louboutin barcelona, louboutin outlet new york city scarpe louboutin vendita milano vendita scarpe louboutin louboutin outlet chicago christian louboutin w polsce christian louboutin promozioni louboutin fifi prezzo christian louboutin headquarters louboutin outlet in new jersey stivali louboutin italia rivenditori christian louboutin christian louboutin shoes kitten heel, louboutin factory outlet paris louboutin prezzi outlet louboutin uomo blu christian louboutin shoes repair christian louboutin paris rosso louboutin christian louboutin outlet paris louboutin bridal scarpe louboutin collezione 2018, louboutin fa i saldi christian louboutin zoulou shoes louboutin decollete rosa christian louboutin abu dhabi christian louboutin shoes david jones louboutin rossetto louboutin outlet new york city.